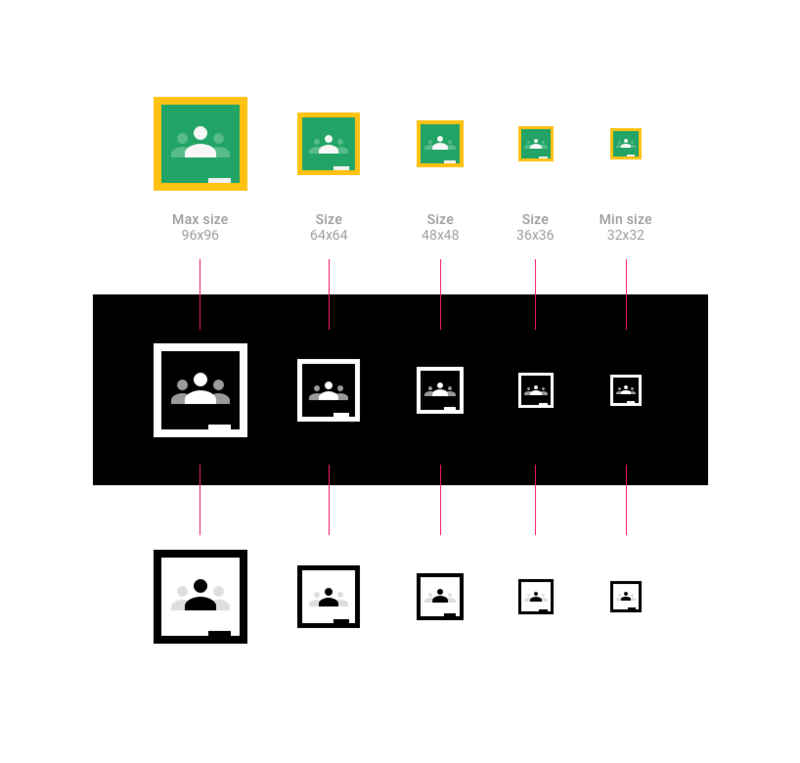 This document outlines how to use the Google Classroom name, logo and icon. If you have any additional questions, please refer to the more general Google brand permissions. When you are integrating with Classroom, always use the Classroom icon (as opposed to the Google logo.) Make sure the Google Classroom icon is fully and clearly visible. You can use the icon with or without the accompanying text "Google Classroom". If you are using the Classroom icon along with other logos, make sure each has proper spacing for readability. The Classroom icon is available in a number of different sizes, from 32 to 96 pixels. You can scale the icon for different devices and screen sizes but must preserve the aspect ratio so the logo isn’t stretched. 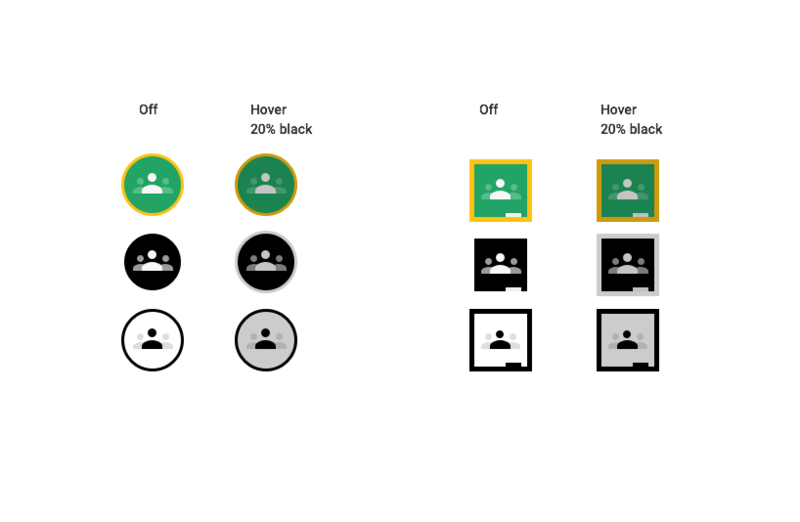 When using the Classroom icon, you can include either the full name "Google Classroom" or the short version "Classroom". If your product is compatible with Google Classroom, make reference to Google Classroom by using the text "for", "for use with", or "compatible with", and be sure to include the ™ symbol with the Google trademark. Example: "for Google Classroom™"
Note: Do not use Google trademarks or a modified version of a Google trademark as the logo for your application without written permission from Google. For illustrative or informative purposes, you may use standard, unaltered screenshots of Google services. 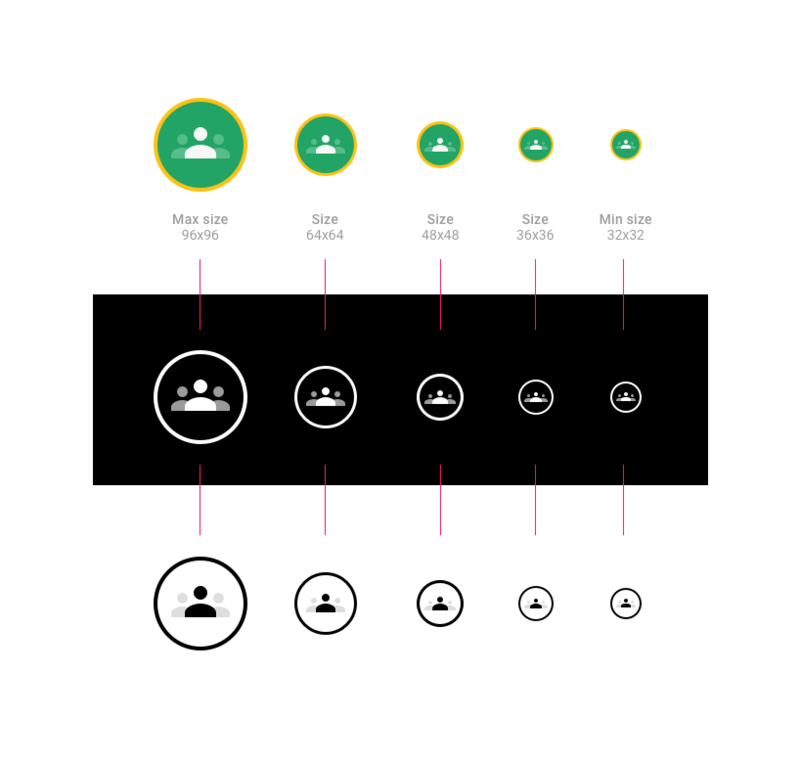 For further details, check out the general Google Brand Permissions. Do give proper attribution to Google for any use of their marks in your application title or in your description. Example: Google Classroom is a trademark of Google Inc. Use of this trademark is subject to Google Brand Permissions. Use Roboto Bold, a TrueType font. To install, download Roboto font and unzip the download bundle. On Mac, double-click Roboto-Bold.ttf, then click "Install Font". On Windows, drag the file to "My Computer" > "Windows" > "Fonts" folder. On hover the icon should be shaded with 20% black. 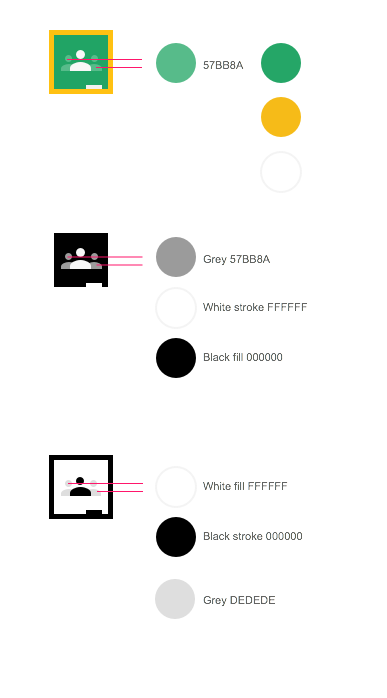 Don’t use colors other than the two specified for the icon. 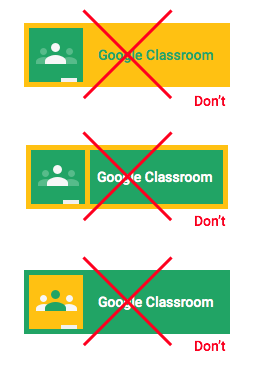 Don’t use a Google icon to represent Google Classroom. Don’t create your own icon for the button. Don’t use the term "Google" by itself in the button without a Google Classroom icon. Never use the colored Google logo in the button. Always include the Google Classroom icon on the left of the button. Do not change the font of the button.